"Get Best Lower price on booking of any asset of ADANI Shantigram through METRO REAL ESATE." This Festive season Adani Realty is pleased to declare the launch of a new cluster - “Adani Elysium” in Adani Shantigram. 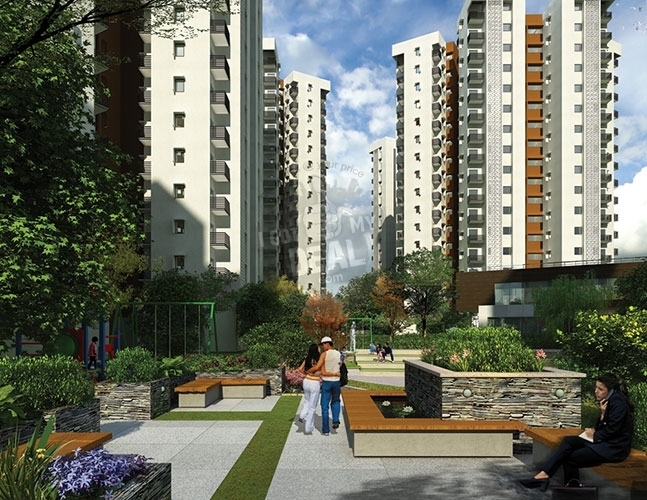 “Adani Elysium” is comprising of 20.00 Acres Project Land, 9 Towers, 396 Units of 18 Floors. 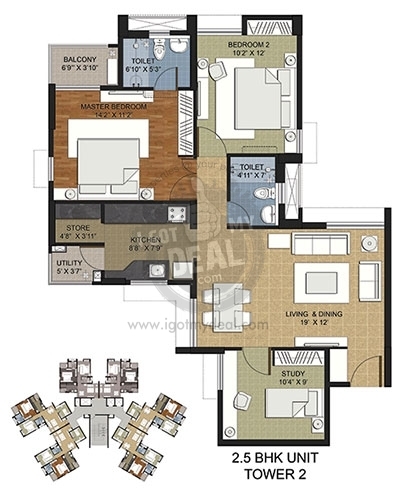 with big range of flats located opposite to The Meadows, on the 34.5 meters wide Arterial Road of the township. 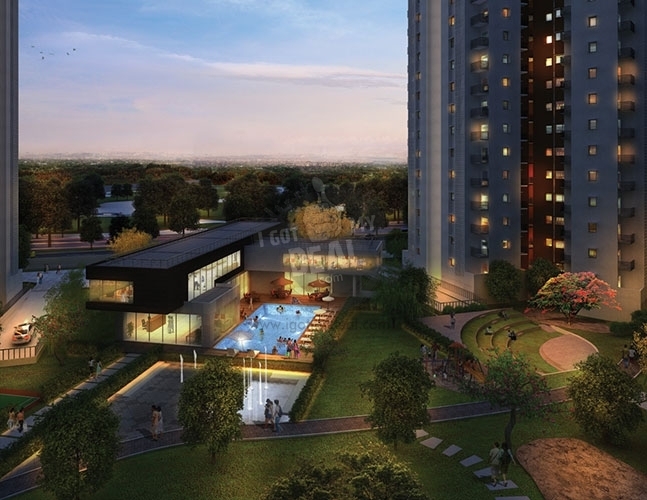 With 2 BHK & 2.5 BHK flats Adani Elysium stands tall overlooking an Olympic size swimming & an Athletic Arena. 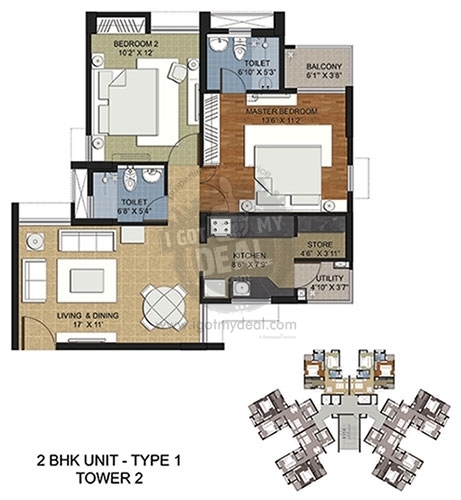 Adani Elysium comes with a options of 2 BHK & 2.5 BHK which in size ranges from 1145 Sq.ft To 1427 Sq.ft. Each home & each area of this project is developed with extreme care to guarantee no range of mistakes and also the entire project is faultless. Adani Group is a real estate organization run by the veterans of the real estate and development organization. The company has been positively involved in the structure of premium projects across Gujarat and is about to surprise the real estate sector with some gems like Water Lily and Adani Pratham at Sarkhej-Gandhinagar Highway, and Adani Aangan at Vaishnodevi Circle. 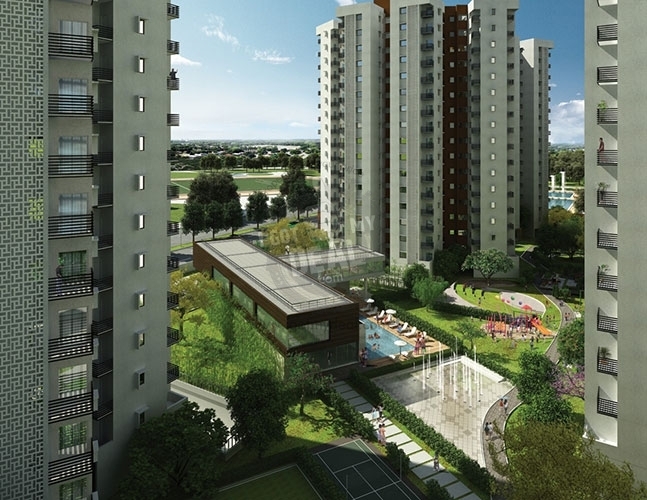 * Elysium is the part of 6 acre of Township. * Gated community with automated security systems like Smart Card Access, CCTV etc. 20.00 Acres Project Land, 9 Towers, 396 Units of 18 Floors.